Our family home in Mogadishu was in an area lined with trees, very green and the sun was always shining. I played on sandy beaches and in the warm, clear sea. I remember balmy summers – wet and humid – and the city had a beautiful whitewashed look because it was built under Italian colonial rule. During those endless summers, we would have lots of extended family gatherings – often relatives I had never seen, but had been told about, who would be returning home after working abroad. My father, Abdullahi, became an accountant before setting up his businesses. He had a contract to represent Massey Ferguson tractors, introduced Coca-Cola to Somalia and started the country’s first independent newspaper. He was building his businesses at a time of huge political change and remained hard-working and determined to provide for his family. He was also a fun father with his five children. My mother, Sahra, is one of 12 children – all girls except for one boy. Her smile is as broad as the sun and she has a mischievous wit. She is loving and the centre of our family in the same way that she was a mother figure to her younger siblings – to this day, they look on her as a role model and matriarch. When she was over in London, she walked everywhere, which I find tedious and she still has a go at me for being a couch potato. My parents grew up in a very different world from me. Somalia was then a nomadic country and the life they experienced was like something from the 19th century. They taught us the importance of education and traditional cultural family values and created a stable and happy home: we could feel proud about where we came from. I arrived in London as a six-year-old in 1973 because of my father’s dream for his children to have a good education. The first thing I felt after leaving Heathrow was this blast of cold air. I thought, what’s going on? Then I saw the unusual colours from the street lighting and neon advertising hoardings. But my abiding memory is of my mother when she took me to my first day at boarding school – something she considered barbaric, but was what my father wanted. She thought when I was met by the housemaster, I would turn around and say: “Mummy, come and get me and take me home.” But I just turned around at the door after being welcomed, waved her away and said: “All right, Mum, off you go.” To this day, she’s never forgiven me for that. Even though my father started a newspaper, he tried to discourage me from becoming a journalist; he thought it wasn’t a serious profession. He wanted me to study law and I was close to becoming a barrister. We struck a deal: I said I’ll try to become a journalist and if it doesn’t work after a few years, I’ll go ahead with law. He lived to see that I made it and he was proud – and happy in the end. He said I had made the right choice. Becoming a father myself for the first time was life-altering. Despite everything I had read and attending childbirth classes, nothing prepared me. Nina and I held Loula in our arms and it was so overwhelming and overpowering that I just sobbed. Having another life in your care was huge and that wonderful moment feels scarcely believable. I see my children as independent young people. My parents taught me to be independent and to think independently. My father thought that independence gives you a sense of worth and strength. I see this in our children [Loula, 16, Sami, 15, and Zachary, 11]: they are able to stand on their own two feet. They can cook – something my father taught me –and are good, independent travellers, which they got from us because we travelled a lot while they were growing up. My father died in 2009 aged 79. It is a huge blow when reality strikes, but he’d not been well for some time and I’d seen his health deteriorate. Hundreds of people came to his funeral. I dealt with his death by trying to talk about it with my family and we always mark his anniversary. 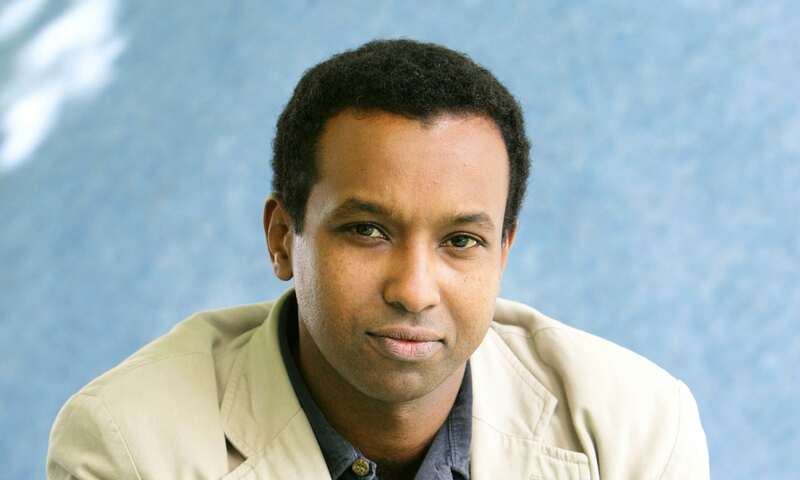 • Rageh Omaar is international affairs editor for ITV News. He presents a new series of On Assignment, starting on ITV at 10.40pm from 7 November.